Iraqi security forces and Syrian Democratic Forces continue to contain Islamic State of Iraq and Syria fighters in areas of the middle Euphrates River valley, an Operation Inherent Resolve spokesman said yesterday. Syrian forces are continuing to secure areas they have liberated, especially in and around Raqqa, which was the capital of the self-proclaimed ISIS caliphate. 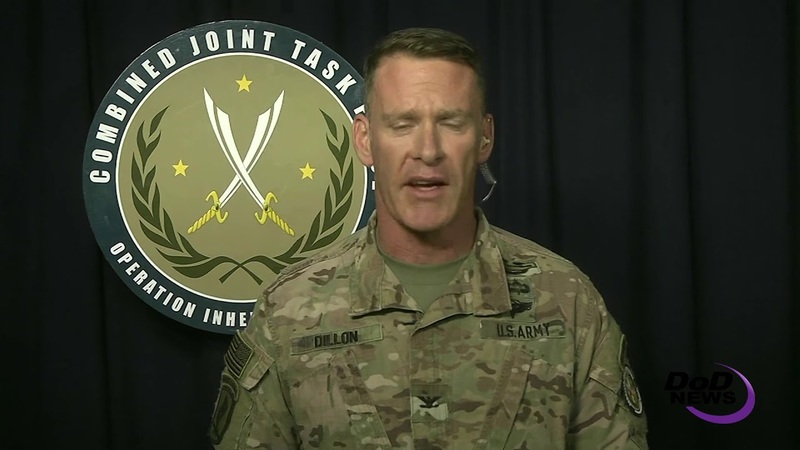 Syrian internal security forces are removing thousands of improvised explosive devices and weapons caches the terror group planted, Dillon said. ISIS does continue to control some territory, the colonel said. “These are near Hajin, which is along the Euphrates River north of Al Bukamal, and in Dashisha, near the Syria-Iraq border,” he said. In Iraq, security and stability operations continue, and Iraqi security forces continue to search for ISIS terrorists. While ISIS has gone underground in an attempt to regroup, it is still a threat in the country, Dillon said. More work remains to be done in Iraq, Dillon said, noting that ISIS is an adaptive and determined enemy. “The coalition remains focused on enhancing our Iraqi partners' capacity to sustain their operations and protect their citizens against these terrorists,” he added. While ISIS has been expelled from most areas in eastern Syria, the terror group is changing and attacking pro-regime forces in the West. “ISIS is starting to conduct more attacks on the west side of the Euphrates River outside of Abu Kamal against pro-regime forces,” the colonel said. “And then we've also seen … the retaking of neighborhoods in southern Damascus. This is why there is still a residual presence of the group in northern Syria, and Iraqi security forces continue to search for and arrest ISIS operatives on their territory, the colonel said. 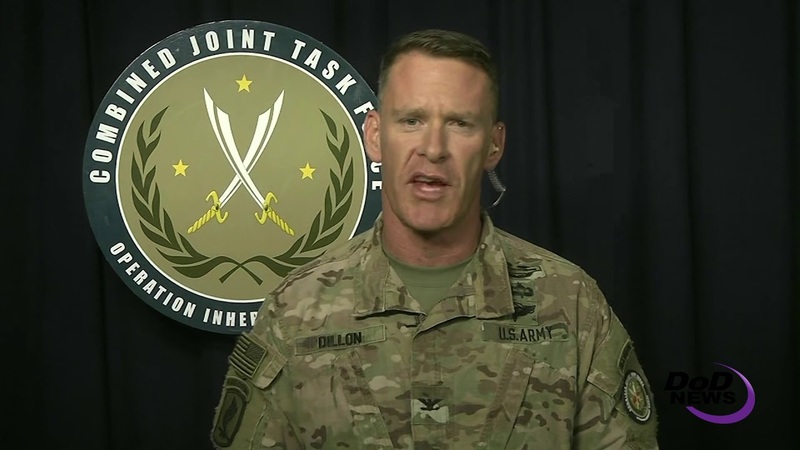 Army Col. Ryan S. Dillon, spokesman, Combined Joint Task Force - Operation Inherent Resolve briefs Pentagon reporters by video to provide an update on operations, April 17, 2018.